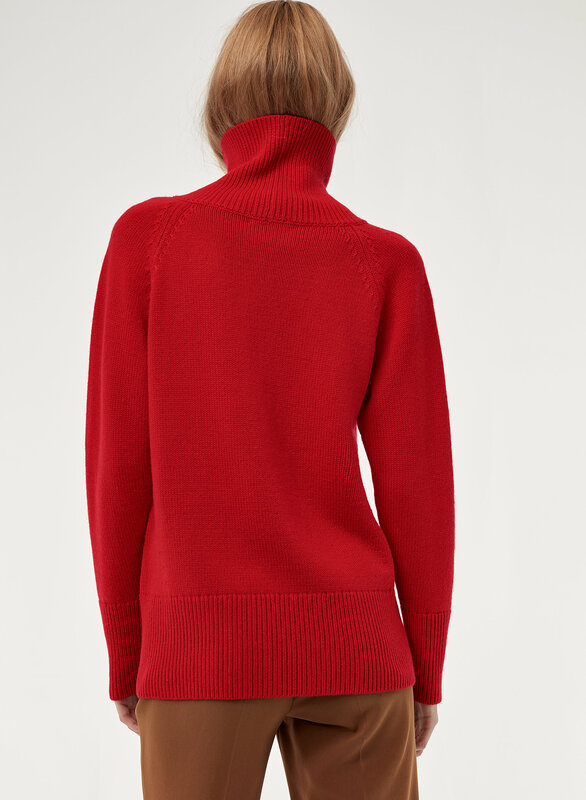 This Babaton favourite is made with a plush blend of warm Italian wool and cashmere. The flattering silhouette is perfect for layering. This is such a chic sweater, I got it in black. I get so many compliments. It is so soft too. Great quality and fit . True to size. 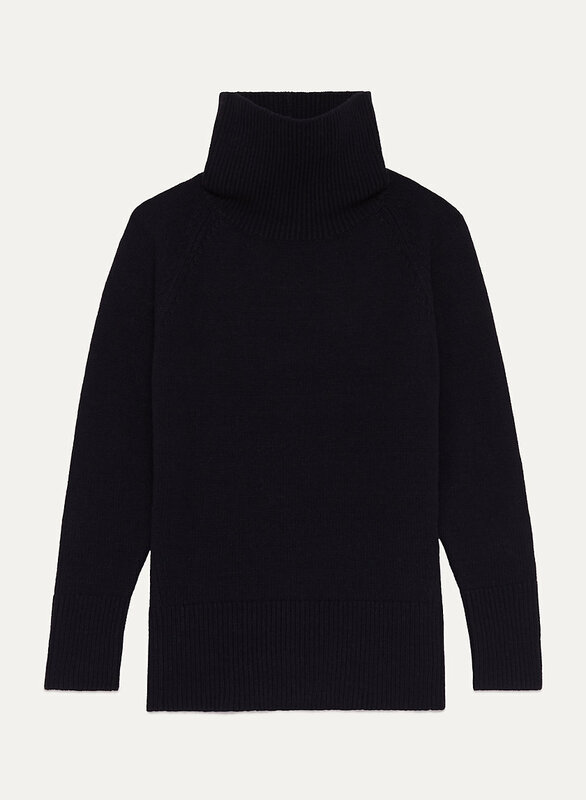 I have a black Nicolas sweater, super warm, 100% wool, great basic piece for winter. Want to buy a red one next winter. I love this sweater and have three different colors. It's warm and comfy, and classic looking which will not go out of style. Nice and cozy and the perfect length. Not too loose and not too fitted. Best worn with jeans- not overly dressy. The wrinkle it produces after I sits stays. I have it in every colour! Great Sweater...too bad it’s already pilling. 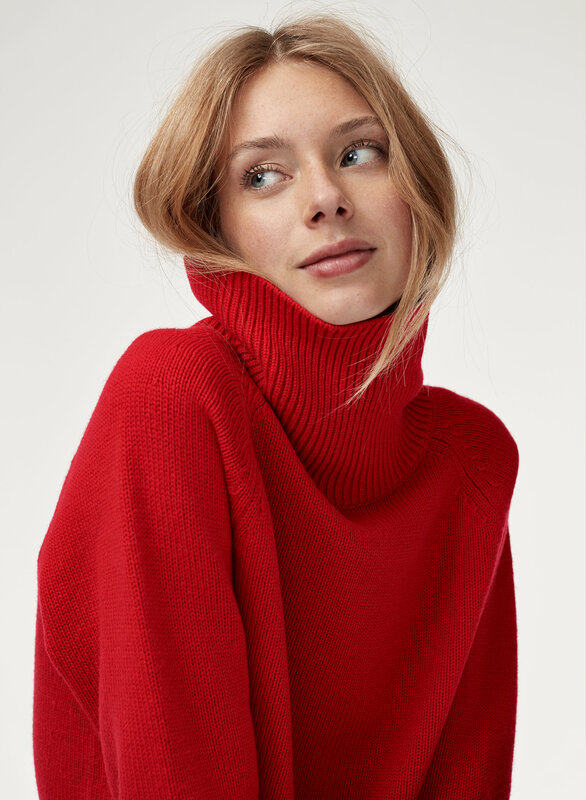 I love everything about this sweater; it’s the perfect cut, shape and weight. Unfortunately, it’s already piling and I’ve only worn it a few times. I love this sweater! 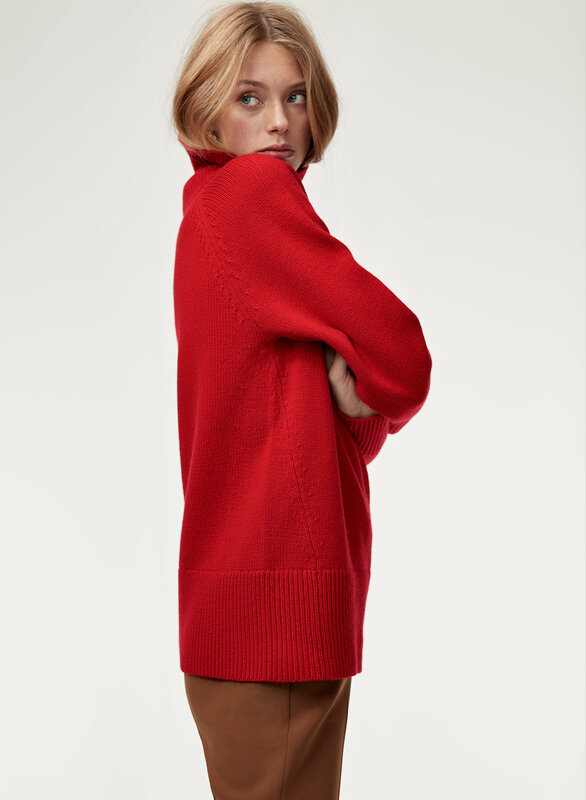 It’s so warm and soft, perfect fit a slightly oversized comfortable sweater. Just what I wanted! Why doesn't this get more love? This sweater is one of my favourites. 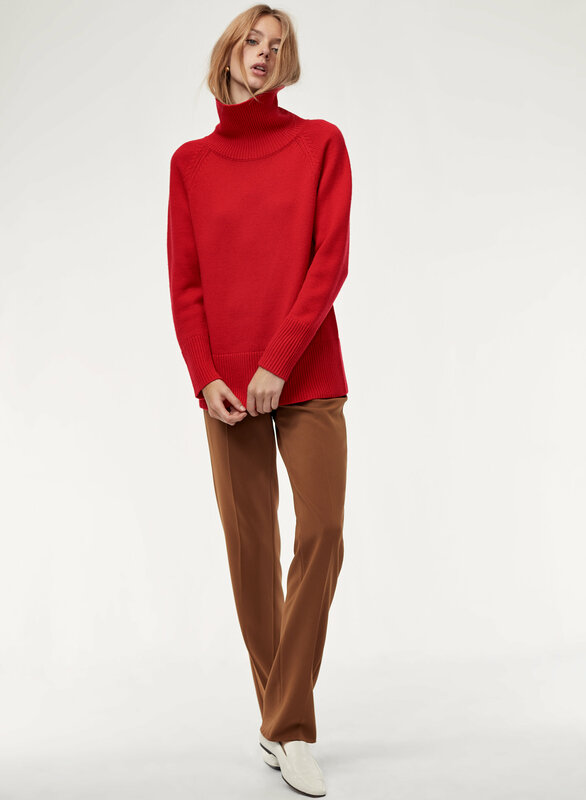 It has a big turtleneck so you can keep it up for a slouchy look or roll it down for something more precise. It is gorgeous and so soft. I love the fit because it is completely straight down without bagging out too much or appearing too tight. The length follows your curves and is very flattering. 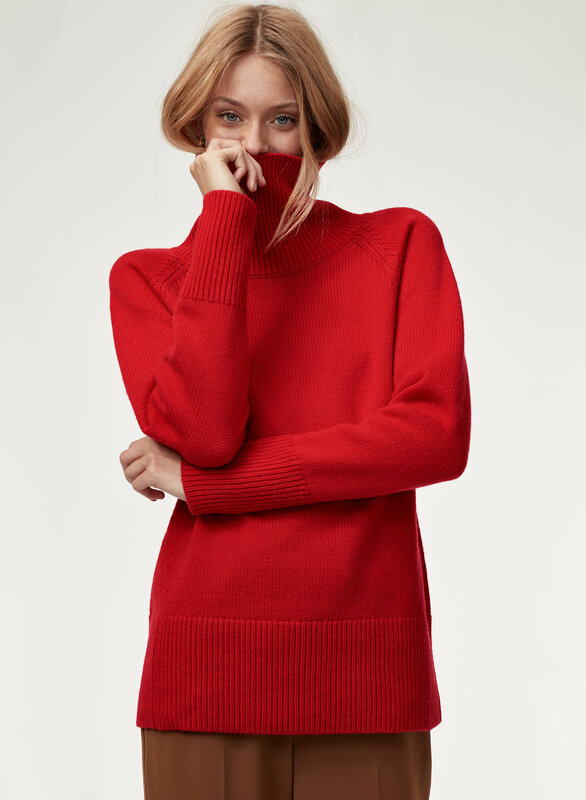 I bought this sweater in red an black. Love the fact that is a bit long (hip lent) so it keeps me warm during cool days. Also, it’s very versatile: you can wear it casual as much as to work since the shape is loose but not oversized. The black is a classic and the red is just too beautiful to leave behind! They are soft and warm and not too heavy so perfect to wear for a long time! Love it can dress it up or down.